Being in LA you don't see much snow this time of year, but I'm hearing it is in the local mountains. 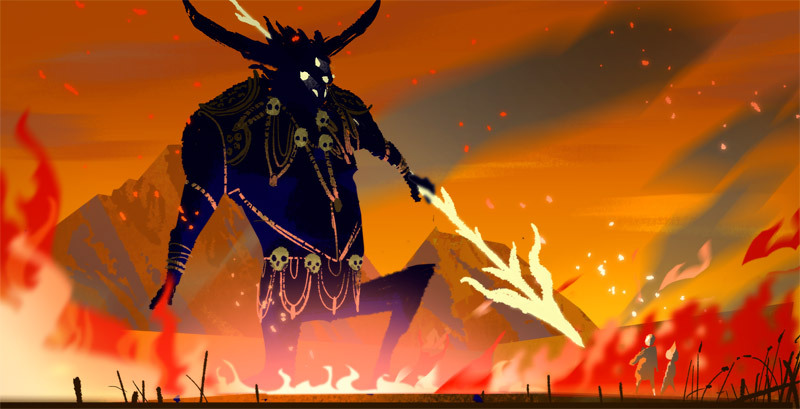 This is our demo from our Visual Development class last night. We try to keep things down to an hour which is a fun challenge each time. Vicky acted as the art director and gave me notes as I progressed with the painting. This is from our class project which is a retelling of Pinocchio set in Tibet. This shows the god Shinje, the tibetan god of death confronting Pinocchio & Gepatto. 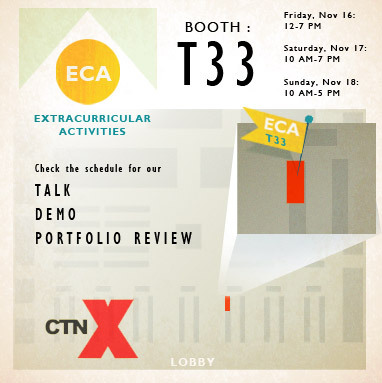 As mentioned in the last post we're going to be at this weekend's CTN Expo! It was our first show ever and we're really glad to go back and see everyone again. If you'd like to find us, refer to the above map. We're also do a talk, a demo and a portfolio review session! So check out the schedule to know when and where to find us. 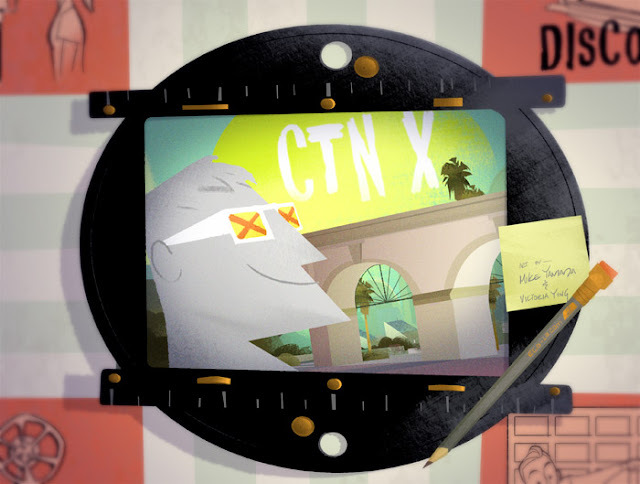 And lastly we leave you with another look at part of the CTN talent hunt map! We're going to be at CTN Expo this weekend! It's a gathering of all sorts of talented artists from the field of animation. So stay tuned for more info. Here's an illustrated we did for their talent hunt. Its a sort of scavenger hunt where you collect the signatures of artists to be entered to win prizes! 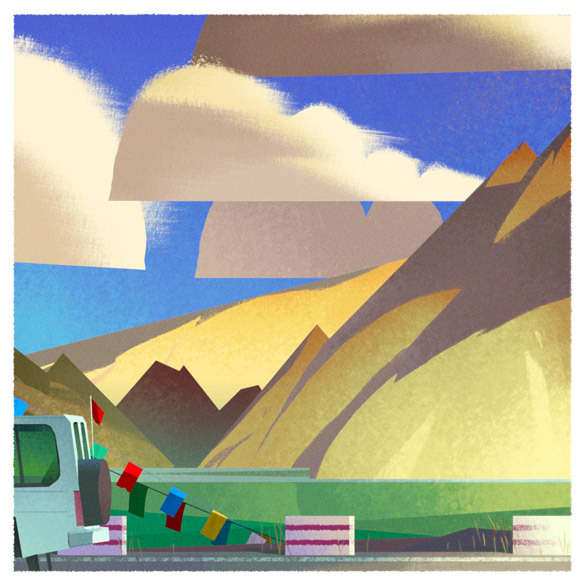 We had the great fortune to go on a trip to Tibet and finally had some time to try to capture the colors and the environments in a few paintings. We spent a lot of time driving and we'd stop to see great vistas like this one.